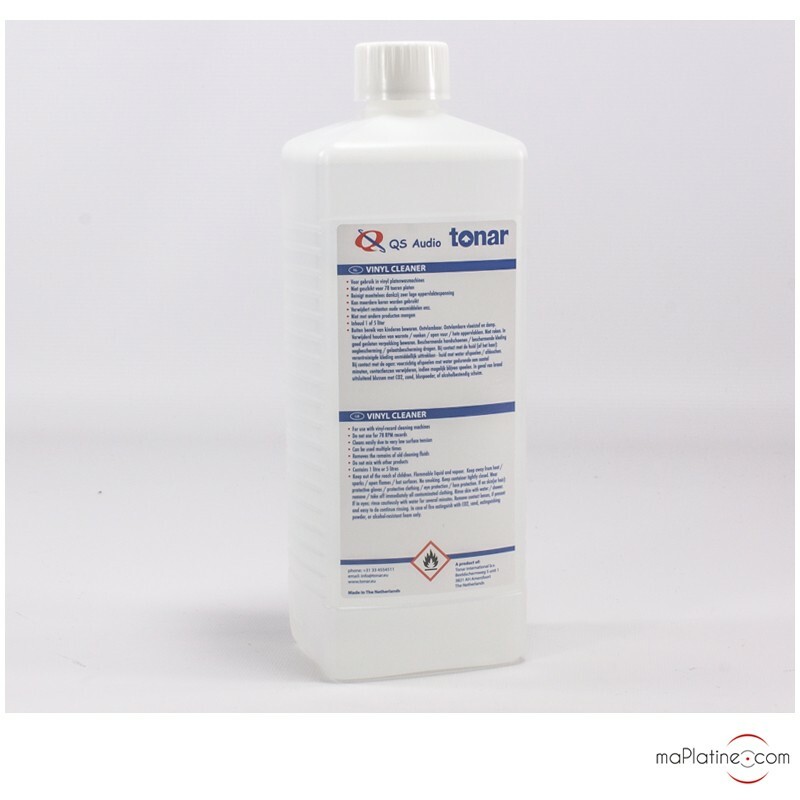 The brand Tonar offers a liquid to clean vinyl records: the Tonar vinyl Cleaning Fluid. 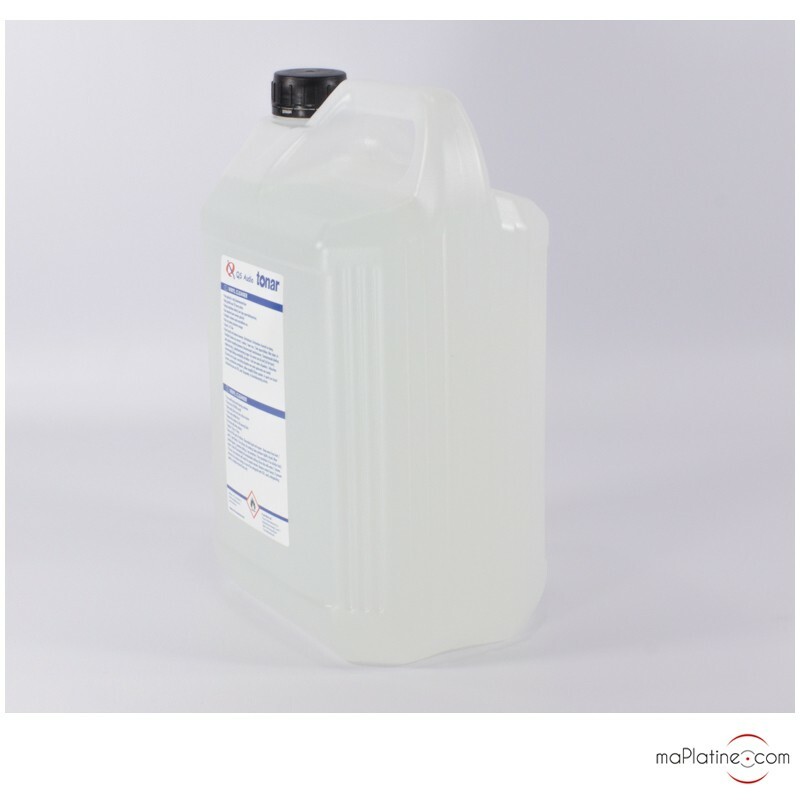 This cleaning fluid is all the more effective as versatile as it can be used in diverse ways, depending on your need. This cleaning product is guaranteed to work on all record cleaning machines. However, the manufacturer clearly specifies for example not to use this product on Shellac records (78 RPM) as the liquid would cause irreversible damages. 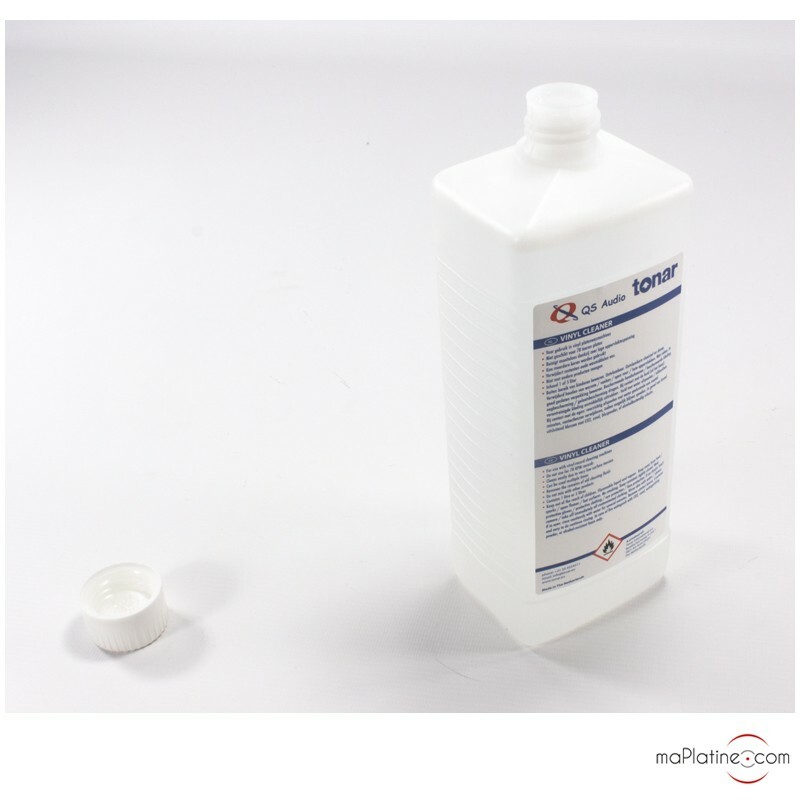 The Dutch brand optimized its cleaning fluid in order to obtain a low surface tension. Thus, the liquid easily penetrates into the groove, covering the entire side receiving the audio modulation, without flowing only into the bottom. 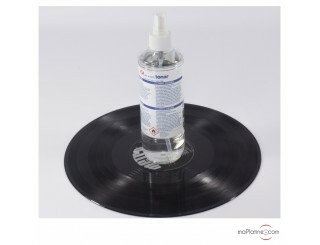 The composition of the Vinyl Cleaning Fluid is very volatile, which facilitates the drying of vinyl records. This also guarantees that no significant residue will remain on the record after use. 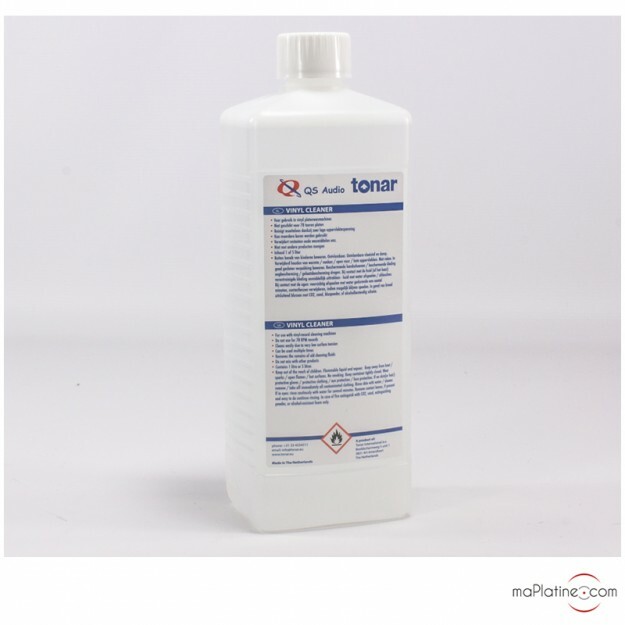 Tonar attests the efficiency of this product on residue from previously used cleaners, moulds, or fungi that occur when the record is stored improperly or on dust, dirt, grease, etc! In addition, the product can be used as is or diluted 5 times in demineralized water. It offers the possibility to dose according to the condition of the record. We have performed multiple tests on the PRO-JECT Vinyl Cleaner S MKII record cleaning machine and the Clearaudio Smart Matrix Pro Silver record cleaning machine and the result is undeniable. The dynamic range is extended and subtle details resurface on old vinyl records. 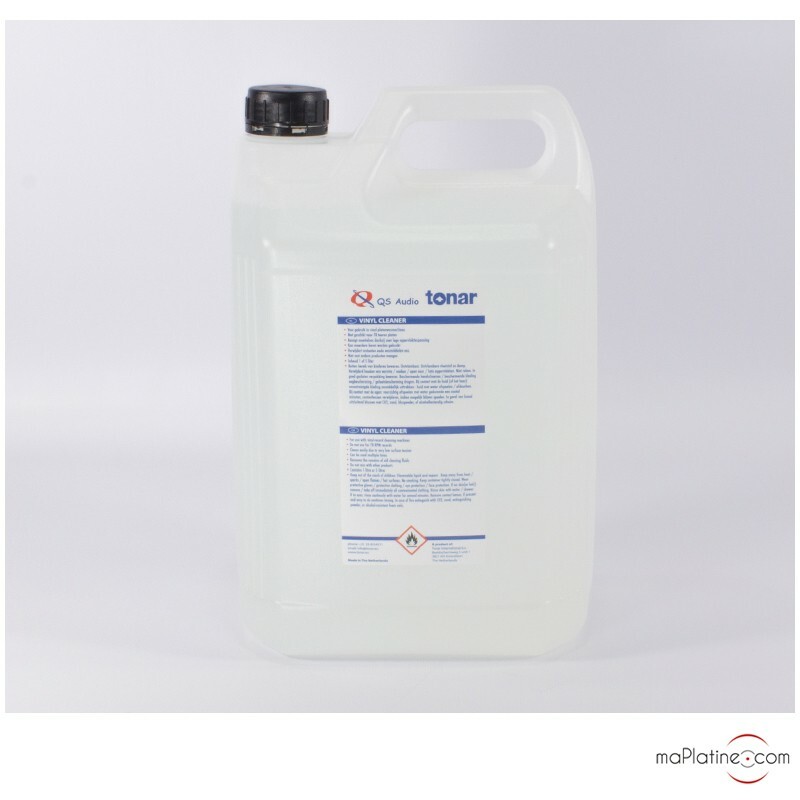 In addition to being efficient, this Tonar vinyl Cleaning Fluid is particularly economical. Un grand merci à toute l'équipe Ma Plaine.com, et surtout à Franck et Olivier pour leurs précieux conseils.